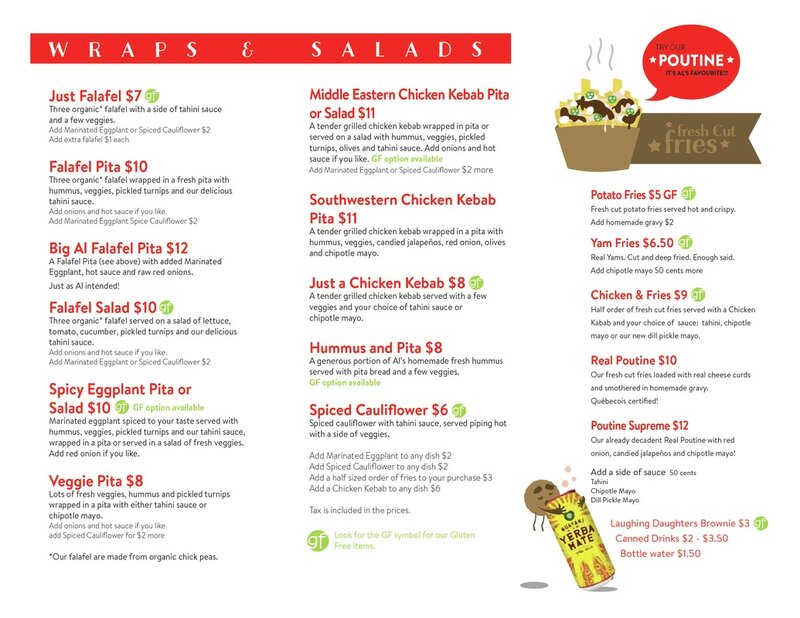 Our Menu has many vegetarian, vegan and gluten free options. Kids love our Chicken and Fries option. Our Real Poutine is the best anywhere.. and yes, it's made with vegetarian gravy (don't tell the meat-eaters - they'll never know!). Our falafel is made fresh daily and served to order so it's hot and not dried out like some you may have tasted. Our fries are fresh cut each day and double fried then lightly salted. We have some great drink options for you including Yerba Mate. We hope to serve you lunch while you are on Salt Spring Island.